Jessica Rosenworcel and Ajit Pai are the two newest FCC Commissioners, sworn in on May 14 by Commission Chairman Julius Genachowski after receiving Senate confirmation earlier in the month. The two had been nominated last November by President Obama to fill seats vacated by former Commissioners Michael Copps and Meredith Atwell Baker. Senate action on their nominations was blocked by Sen. Charles Grassley (R-IA) over the FCC's approval of LightSquared's wireless network application that threatened massive interference to the GPS navigation system. Grassley received the documentation he was requesting in early May and the Senate quickly approved the nominations of Rosenworcel, a Democrat, and Pai, a Republican. The FCC's budget plan for the next fiscal year includes an 80-cent increase in the fee for amateur radio vanity callsigns, to $15 for a 10-year term from the current $14.20. Each year, the Commission modifies the vanity call fee as part of its overall budget. According to the ARRL, the fee has ranged from a low of $11.70 in 2007 to a high of $70 at the inception of the vanity call program in 1994. The new fee, once finalized by the FCC, will take effect in the fall. CQ DX Awards Manager Keith Gilbertson, K0KG, reports that Malyj Vysotskij Island (R1M) has been deleted from the CQ countries list. This follows the Deutscher Amateur Radio Club's (DARC's) decision to drop the island from its WAE (Worked All Europe) list. The ARRL dropped the island from the DXCC list in February, as a result of a new treaty between Russia and Finland that ended the island's separate status. CQ's country list is based on a combination of the DXCC and WAE lists, so M-V Island remained active on the CQ list as long as it remained on the WAE list. Amateur radio has been pulled into an ongoing dispute between China and the Philippines over ownership of Scarborough Reef in the South China Sea. A report on Southgate Amateur Radio News says a Chinese website (sina.com) claims that correspondence regarding amateur radio operation from the reef supports Beijing's claim to sovereignty. According to the website, in 1990, the Philippine ambassador to Germany informed a German ham that the reef was not within Philippine territory, and that that was confirmed by a 1994 exchange of letters between the Philippine Amateur Radio Association and the ARRL. For more, see <http://bit.ly/KCbFto>. Cuba's government has approved the use of several new digital modes by the country's ham radio operators, according to a post by CO7WT on Southgate Amateur Radio News. Previously, Cuban hams have been permitted only to use PSK31, QPSK31, AMTOR, packet and RTTY. The new rules now authorize the use of Olivia, MFSK, JT65, most PSK variants and others, and they set up a mechanism for Cuban amateurs to apply for approval of additional modes in the future. CQ magazine publisher CQ Communications, Inc. has launched an e-mail newsletter for the hobby radio industry. The CQ IndustryInsider debuted just before the Dayton Hamvention® and reports on news and trends in the amateur radio, scanning and listening marketplace, as well as company news and announcements, marketing tips and an idea exchange for spotlighting concepts for new products and services. Industry members who did not receive initial issues and would like to be added to the mailing list should contact CQ Advertising Manager Chip Margelli at <ads@cq-amateur-radio.com>. Heathkit's highly-promoted return to kit-making, including a possible return to the amateur radio market, appears to have failed. The ARRL and others report that Heathkit Educational Systems seems to have closed its doors. Company officials were not available for comment, although several listed the company as a former employer on social media profiles. In addition, listed phone numbers for Heathkit all respond with busy signals and the company website's online store page no longer comes up (even though the main website remains active). One outside sales representative who worked with Heathkit told ARRL that the company has "temporarily closed," but he said he was not optimistic that it would reopen. 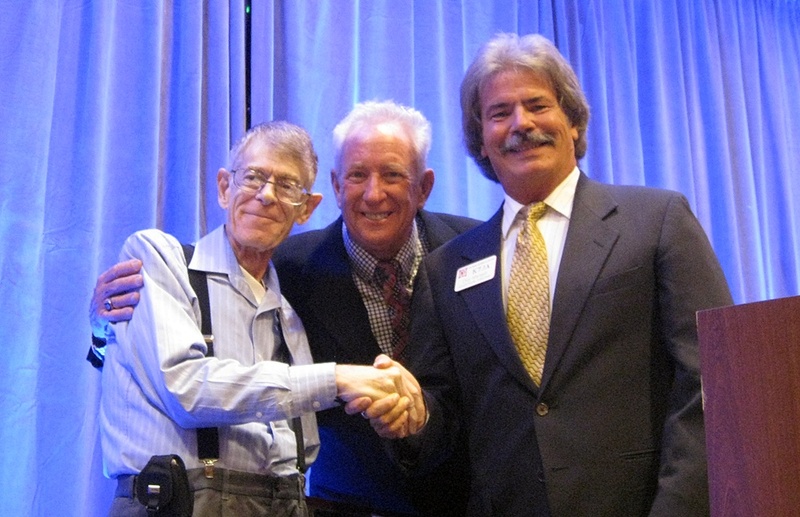 Newly-inducted CQ Amateur Radio Hall of Fame member Steve Mendelsohn, W2ML, became a Silent Key on May 23 after a long fight against pancreatic cancer. He was 67. Best-known as longtime Communications Director of the New York City Marathon, the New York Times published a lengthy news story on his passing and his work with the Marathon. Mendelsohn was also very active with the ARRL, serving as a Vice Director, Director and First Vice President, as well as several local radio clubs in his home state of New Jersey. A broadcast engineer who worked for both CBS and ABC, he was also game-day frequency coordinator for the New York Jets football team. For more on Steve, see "Zero Bias" and the CQ Hall of Fame announcement in the July issue of CQ. Pancreatic cancer is one of the types of the disease in the cross-hairs of ongoing development of a method of killing cancer cells with radio waves that was developed by the late John Kanzius, K3TUP, and featured in an interview in the January 2009 issue of CQ. WINK-TV News reports that preliminary animal tests at MD Anderson Cancer Center in Houston have been successful in fighting liver and pancreatic cancers, and that preparations are now being made to begin tests on larger animals, such as pigs. If those tests are successful, human trials would follow. For many hams starting out as shortwave listeners, one of the first and loudest stations logged was often Radio Canada International. Not for much longer. "Newsline" reports that in a cost-cutting move, RCI is planning to shut down all shortwave and satellite broadcasts and abandon its legendary transmitter facility in Sackville, New Brunswick, leaving the World Wide Web as its only means of reaching the world. In addition, Newsline reports, RCI will stop producing its own programming and will shut down its news department. One American and two Russian amateurs have arrived at the International Space Station, joining a crew of three ham-astronauts/cosmonauts already aboard the orbiting outpost. Astronaut Joseph Acaba, KE5ADR, and cosmonauts Gennady Padalka, RN3DT, and Sergei Revin, RN3BS, are the latest crew members to arrive at the station. They were preparing for the arrival of the Dragon cargo ship launched by SpaceX, the first commercial launch to the station. The Dragon was to deliver food, clothing and 15 experiments from the Student Spaceflight Experiments Program, among other supplies. It was to reloaded with trash and material that was no longer needed aboard the station and sent back to Earth for a planned parachute descent into the Pacific Ocean. Morse code has been designated as a language by the Boy Scouts of America, which has added it to the list of "interpreter strips" that scouts may earn. The strips indicate proficiency in either a foreign language or sign language, and now, Morse code. Also on the ham radio Scouting front, ICOM America has signed a sponsorship agreement with the Boy Scouts to supply ham radio equipment and technical support for the 2013 National Jamboree. This will include the K2BSA jamboree station, Radio Merit Badge support and the Jamboree on the Air (JOTA). 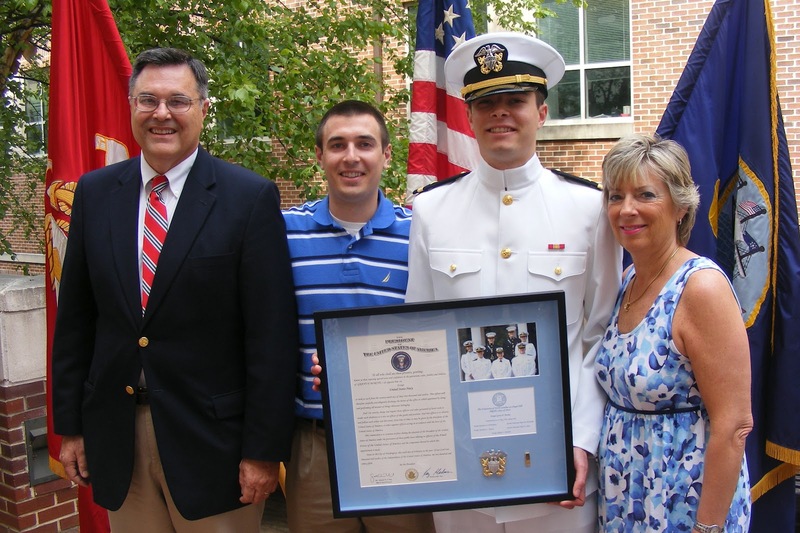 Eagle Scout, K2BSA jamboree operator and 2007 Newsline Young Ham of the Year Grant Morine, W4GHM, has been commissioned as an Ensign in the United States Navy. 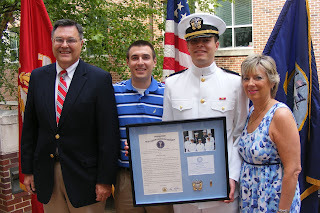 Morine is a 2012 graduate of the University of North Carolina at Chapel Hill, where he was a member of Naval ROTC, and had a double-major in History & Peace and War & Defense, as well as a minor in Naval Science. His first assignment is as a Gunnery Officer aboard the USS Laboon, based in Norfolk, Virginia. Ensign Morine is the son of Pamela and Bill Morine. Bill, N2COP, is ARRL North Carolina Section Manager. Cross-Band Test this coming weekend, according to Army MARS Public Affairs Officer Bill Sexton, N1IN. Coast Guard station NMN at Atlantic Fleet headquarters in Chesapeake, Virginia, will be listening on the 40, 20 and 17 meter amateur bands between 1300 UTXC on May 12 and 0300 UTC on May 13. Amateur stations should listen on the following frequencies and transmit in any legal portion of the phone bands (listen to NMN for additional guidance on where the operators may be listening). NOTE that transmissions on 40 meters must be in UPPER SIDEBAND rather than the commonly-used lower sideband. This is part of the annual Armed Forces Day observance in which military stations traditionally operate cross-band with amateurs.